In the simplest terms, the ISO 14001 standard specifies a process for the control and the continuous improvement of an organisation’s environmental performance. The ISO management tools allow us, as a company, to identify and control the environmental impact of our activities and services, meaning we can continuously improve our environmental performance, as well as set and achieve our environmental objectives and targets. 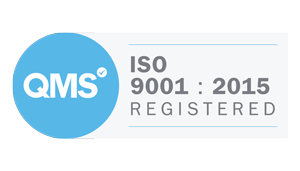 The ISO environmental management systems are the most recognised and developed environmental management systems. By implementing ISO 14001, we are formalising the management of our environmental impact, as well as gaining recognition for doing so. Our ISO 14001 accreditation demonstrates our professional approach to managing our environmental impact and gives our customers further reassurance that they are dealing with a company that is responsible enough to monitor their environmental impact. The ISO 14001 management system can help us reduce our business costs, this will be done through reducing our resource consumption, as well as reducing our waste production. This accreditation looks at the procedures that were already in place/adopted by TCC, and gives us monitoring measures to ensure that these procedures work to improve the business/maximise performance. The ISO 9001 focuses on implementing more efficient working practices that we can follow, based on the TCC business objectives. By having more efficient practices in place, we can ensure that we achieve a system that supports staff, as well as improving our levels of customer satisfaction. Standards maintained by annual assessments, internal auditing etc. 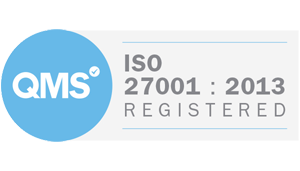 Continuing business improvement is vital to our success and in December 2018, we were certified with the ISO 27001 Information Security accreditation. By becoming compliant to this standard, we are showing our commitment to ensuring that adequate security controls are in place to protect information and data from being accessed, lost or stolen. Having an Information Security management system in place allows us to ensure that we are keeping confidential information secure. The accreditation also provides clients with confidence in terms of how we manage risk as a company, it also allows us to ensure that we are meeting our legal obligations. We take the rules and regulations around information and data very seriously, this accreditation allows us to effectively monitor our performance as well as ensuring full compliance at all times.